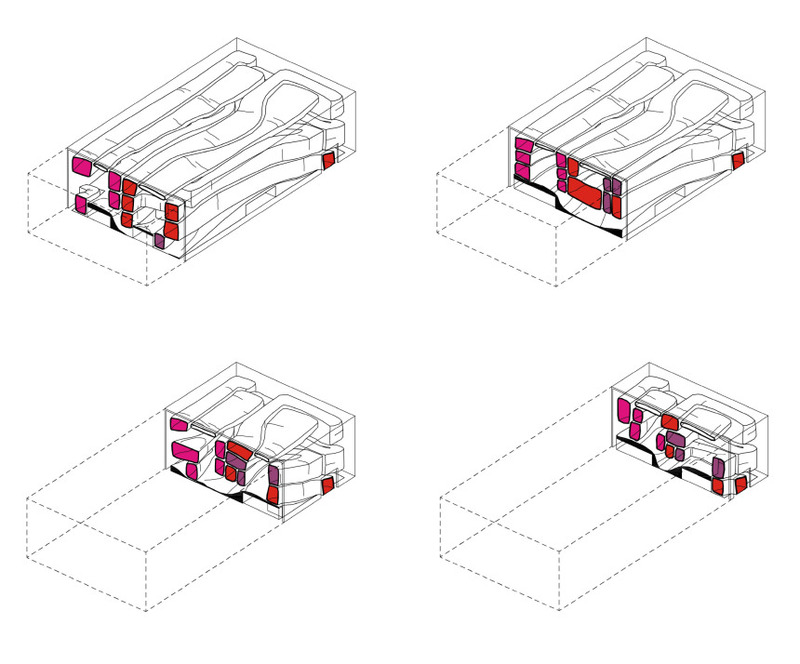 Project shows an experimental solution for a different shaping of a theatre space. Presented prototype gives one of the answer for development of a theatre house. 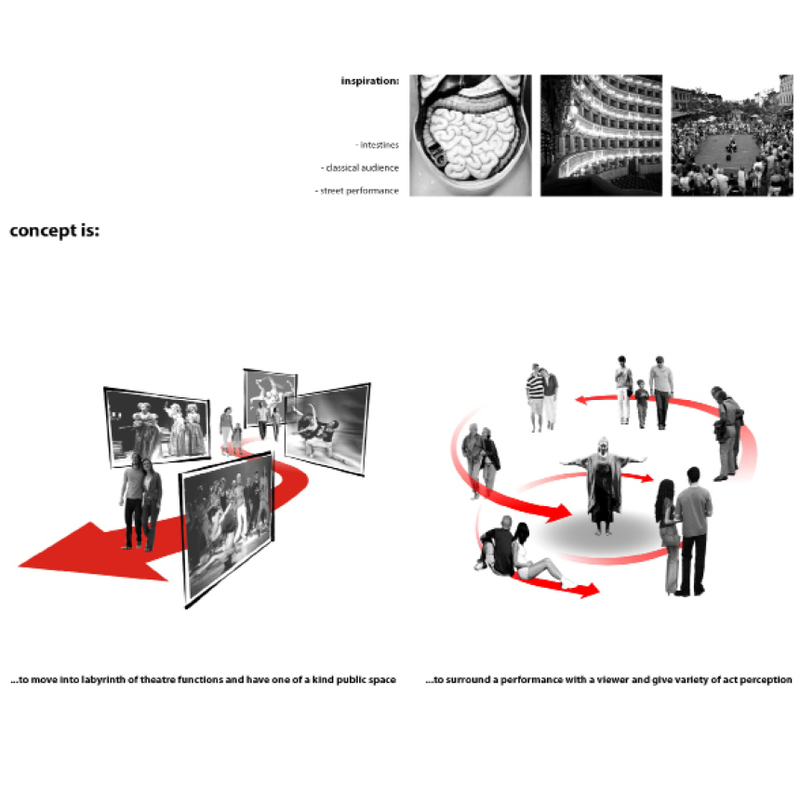 Concept considers working with variety of relationship between actor and spectator as a relevant element of space creation. Building is designed as a connection of several corridors. It gives a feeling of 3 dimensional labyrinth. There is no regular audience, neither stage known in a traditional way. 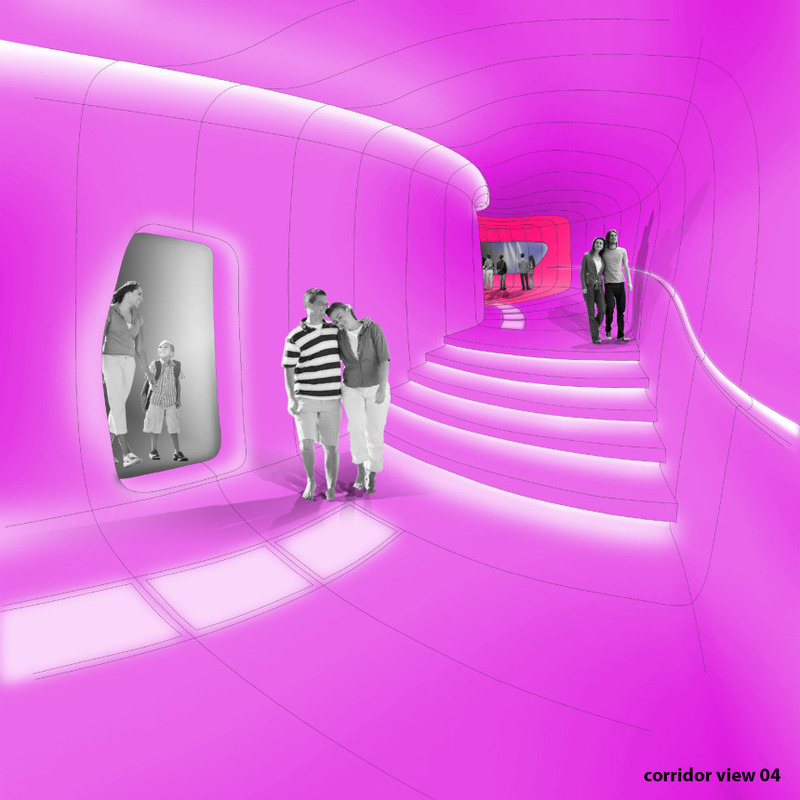 Instead of that, corridors are made by shaped panels, which are giving only suggestion of a place to stand, to sit, to lie. Trying to skip define spaces, building is prepared as a place to explore. 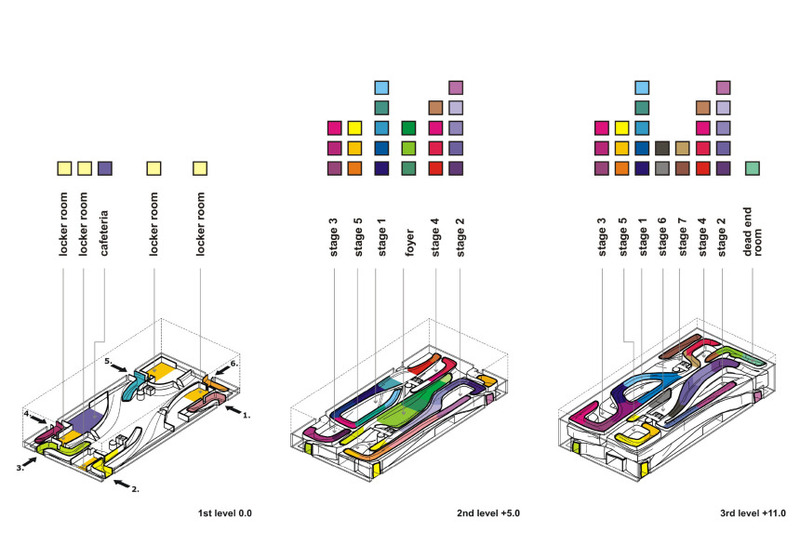 Amount of performing areas situated in different parts of the building forces viewers to move, to travel between. Proposal breaks traditional thinking about theatre building. 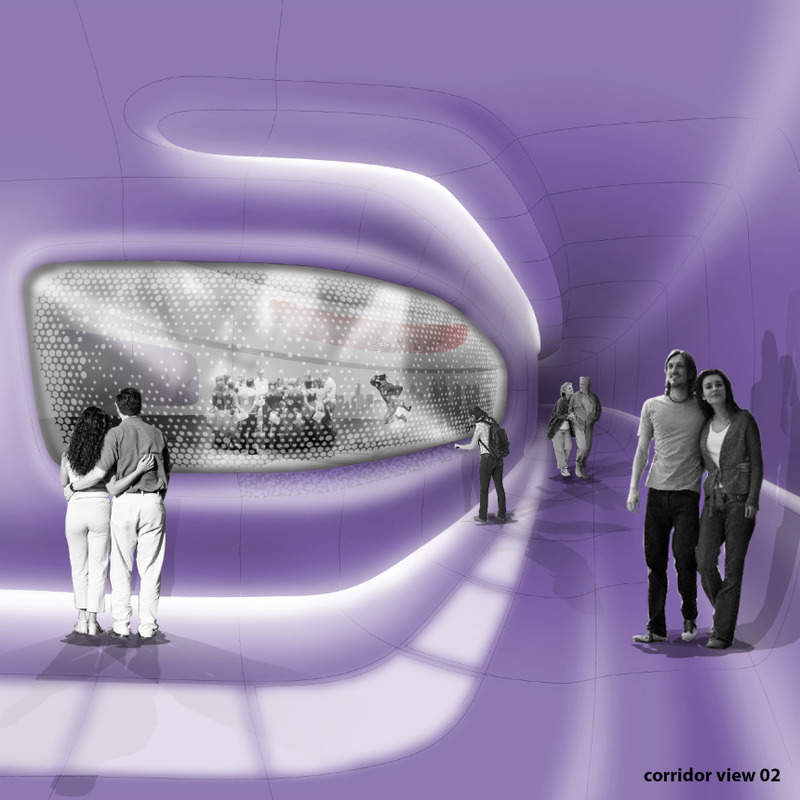 As a result we get one of a kind public space rapped in a box. Theatre program does not work with a performance schedule, but rather stays as a livable gallery of theatre functions. There is a free choice of movement between different acts – you can always join, take part in an act you watch, or just skip it, move ahead. 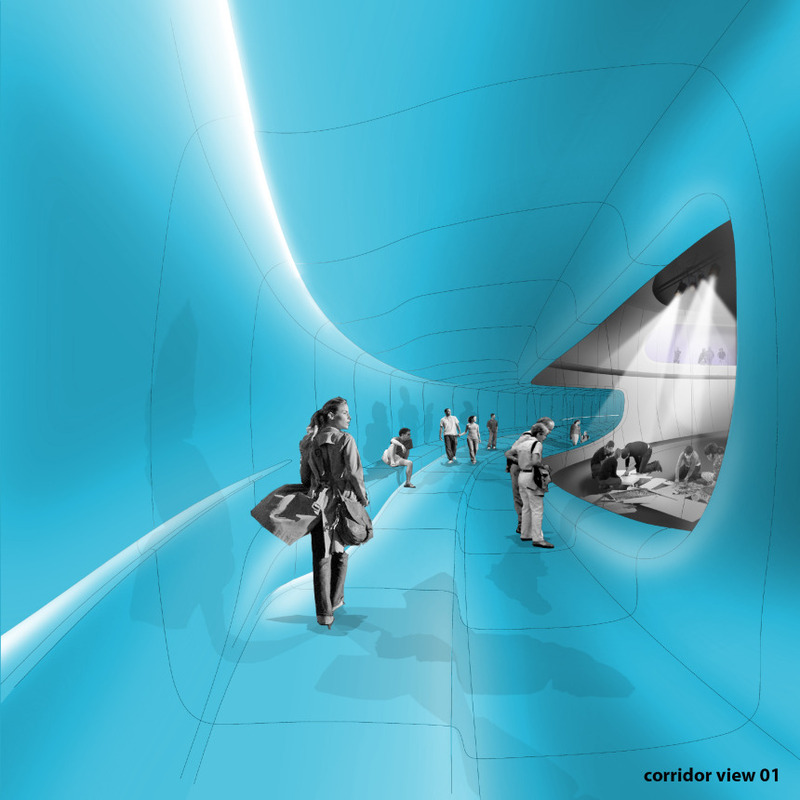 Strong influence of a street performance is taken into consideration during design process. Whole project gives complexity of solution in different fields. Rise questions, but also gives a lot of answers for future theatre buildings development. 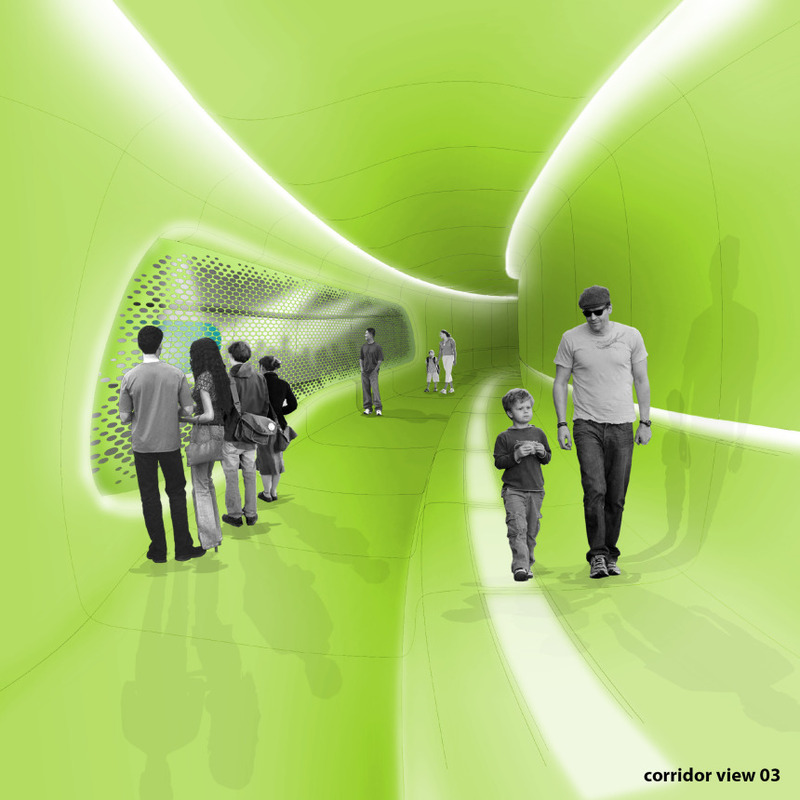 Project was presented on a hypothetical site. Project was presented during conference about scandinavian performance houses in Goteborg, Sweden. More info about conference here.